Faculty of Political Sciences (FPS) of the University of Belgrade was established in 1968, as the first teaching and research institution in political sciences in Yugoslavia and in Eastern Europe. It has four departments: Political Science, International Studies, Journalism, Social Work and Social Policy. 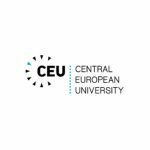 It is the leading Serbian and Balkan centre for theoretical and applied research in many areas. Research is mostly done through the Faculty’s research centres. FPS professors are authors of numerous books and academic articles published in Serbia and abroad. Rich and diverse international cooperation is one of the Faculty’s priorities and it participates in many international projects. There are MA and PhD European study programs, too. 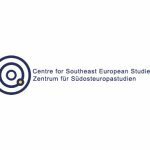 A particular focus on EU-Western Balkan relations, as well as on relations within the Western Balkan region, is applied at the Interdisciplinary MA Program in South-Eastern European Studies.